The DIY movement is a wonderful thing. Creating handmade items is a useful and fulfilling way to explore your creative side and indulge in affordable self-expression. However, not all DIY crafts and homemade gifts are actually part of a frugal lifestyle. Sometimes making an item by hand actually costs a lot more than simply going to the store and buying that item. Gold jewelry. Handcrafting your own gold jewelry is a pricey endeavor. The biggest cost is the investment in the tools required to make this type of jewelry. Hand tools necessary for this craft include wire cutters, pliers, lathes, welding tools and more, often adding up to thousands of dollars worth of equipment just to start the craft. The ongoing costs of the craft are expensive as well thanks to the cost of gold wire and semi-precious stones. On the other hand, you can purchase gold jewelry at a fairly low cost in the store especially if you look for deals and sales, shop around online and buy used gold jewelry. Woodworking. 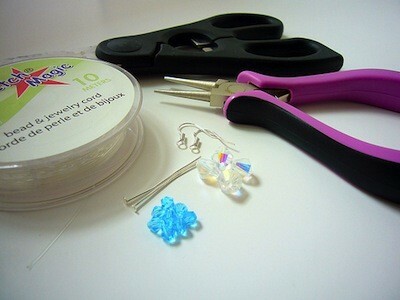 This is another DIY craft that is expensive in large part because of the cost of the tools needed to make great items. Various saws, drills and other tools can add up quickly in cost. You can also spend a lot of money on great wood for your projects. Buying wood items that are already made is often a lot cheaper. Machine embroidery. Needlecrafts generally tend to be affordable. There are exceptions, of course, such as people who love to crochet but only like to use really expensive yarns. Machine embroidery tends to be one common exception to the general affordability of needlecrafting. There is the cost of the machine itself. There is the additional cost of added parts that enhance the machine. Then there is the cost of embroidery thread, fabric and embroidery designs. It all adds up. You can go buy a pre-made pillow or sampler in the store for a lot less! Scrapbooks. Many people love to scrapbook but they’ll also readily admit that this can be a very expensive craft. Most avid scrapbookers purchase a lot of tools to use in their craft, such as special hole punches and unique scissors. Add in the ongoing cost of paper, die cuts and stickers and you have a craft that can really be pricey. Many local photo printing stores will print collages and entire albums for you at a significantly lower price than the cost of making a scrapbook. Cooking. Many people enjoy making elaborate meals for others to share with them as a gift from the heart. This can be done affordably, of course. However, it can also be expensive if you aren’t careful. The cost comes from the combination of exotic or expensive food items and the special kitchen accessories that many food crafters choose to buy in order to make their edible gifts more special. The time that it will take to make the item. Sometimes the cost of the store bought item and the cost of the DIY version are comparable to one another. However, your time is valuable so if it’s going to cost you many, many hours to make the item then it might be worth it to just buy it instead. The durability of the item. Oftentimes the handmade version of an item will last a lot longer than the cheaper store bought version. If you are crafting something that you want to last for a long time then this is an important factor to consider. The value of the item to the recipient. There are some items that you make because you know they will mean a lot to the person receiving them as a gift. A scrapbook is an example of such a craft. Regardless of how much cheaper it might be to have a local store put together a photo album for you, you may find it more valuable to create your own scrapbook for gift giving. Whether or not making the item by hand will give you new skills. Sometimes the reason that a DIY craft is so expensive to start with is because it takes time and tools to learn the skills to make the item. However, if that initial investment leads to an ability to create amazing handmade items that you can actually sell in the future then it may be worth the cost. How much pleasure you get from crafting the item by hand. People do DIY crafting because they enjoy it. That shouldn’t be forgotten. If you do crafting in place of other entertainment options then you may even be saving money by crafting. Consider the value of the craft to you as you determine whether or not to replace DIY gifts with store bought items. What are your thoughts about making vs. buying and item when it is less expensive to buy it but more fulfilling to make it by hand? As a novice/hobby woodworker I have to agree – it costs much less to buy items from the store. Not only the investment in tools but when you mess up a piece of wood you need to replace it and that will cost you. The satisfaction on a piece well made however … priceless. I am an amateur woodworker. Among my first projects was to build cabinets and shelves for the pantry in our new house. Maybe $500 worth of material and a brand new $1500 tablesaw. In the end, it would have cost nearly $5000 for what I built. The rocking horse I built her when she was 2? I agree, $500 worth of rare wood, and nearly 30 hours of my time wasn’t frugal, but it was priceless. I suppose it depends on the meal, the restaurant, your cooking skills, etc. Creative and great gifts to make and give for someone on a budget. My embroidery set up cost over $16,000 with software. i see that sometimes: people doing thing themselves ‘to save money’ and failing to realize they’d be cheaper of just buying whatever they’re making. not foreseeing a possible mistake and subsequent necessary purchase of an entire new piece of expensive wood/cloth/etc.